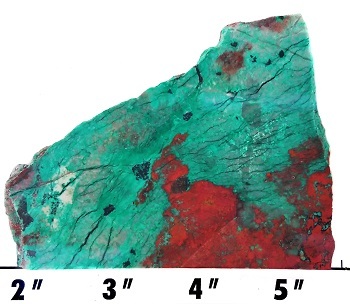 Chrysocolla is a popular copper secondary among lapidaries. 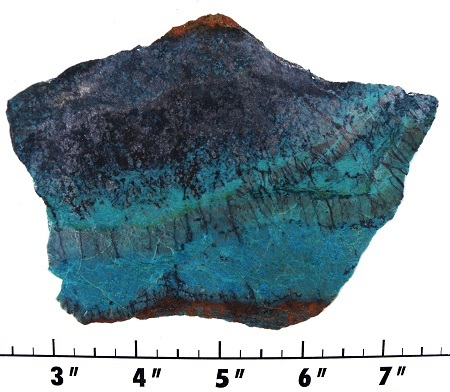 Chrysocolla cuts with standard wheels and can usually be polished with tin oxide, diamond, or green rouge. 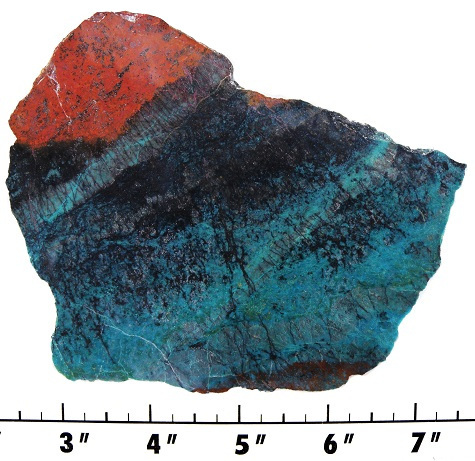 Some chrysocolla tends to undercut when polished with tin oxide. 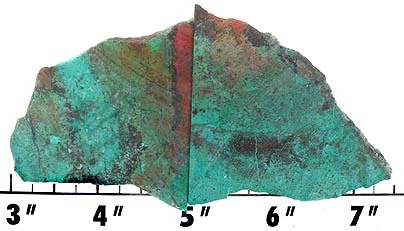 When this happens, polishing with diamond and a quick follow up with green rouge should rectify the problem. 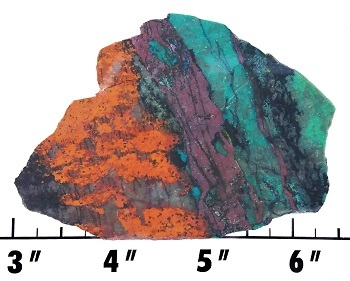 Sonoran Sunrise is not a true chrysocolla. 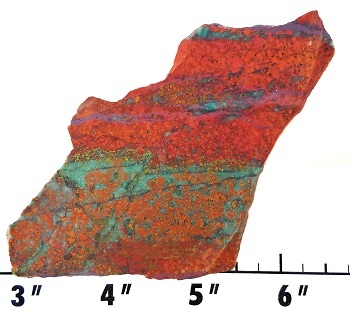 It is a limestone based material with chalcotrichite (reddish), bronchantite (greenish), tenorite (black), chrysocolla (bluish) and cuprite (metallic purple-gray). 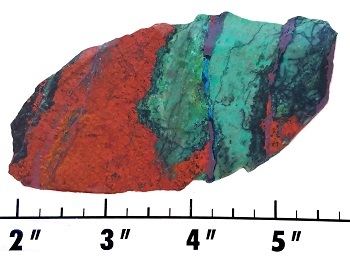 1 at 7/32 to 3/16" thick. 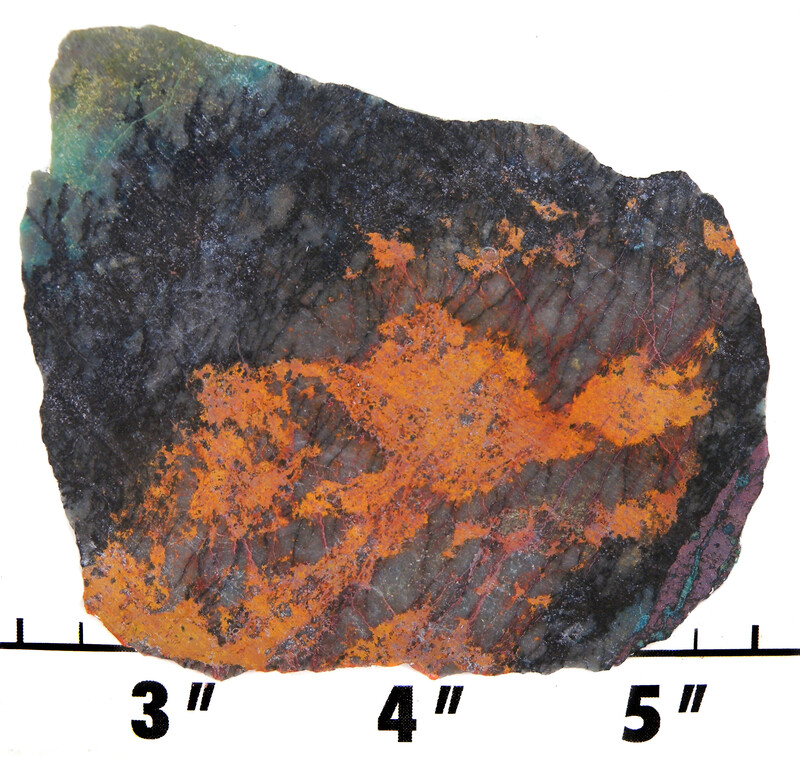 Measures approximately 9/32 to 5/32" thick.